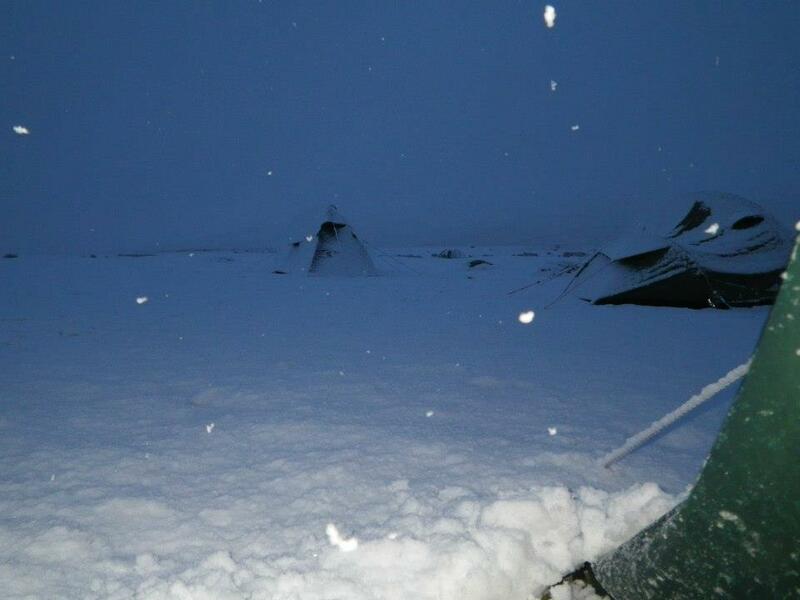 Last Saturday night was pretty mad, I went up to Dartmoor to assist with the camping of a Ten Tors team after they had walked for approximately 25km during that day in lovely weather – I think not! They had all seasons in one day, hail, thunder and lightening, monsoon rain and thick fog just to make things fun. Despite all of this when I got out to them at Nuns Cross Farm (SX 606 698) around 18:00 they where in very high spirits. After talking to the teams I retired with the other leaders to one of our tents to plan where each of us would be going to check point them the next day (another 15km for the group). It was decided that I would be doing a fair few kilometres first thing in the morning – about 10km – as well as having to beat the group down to Gutter Tor. 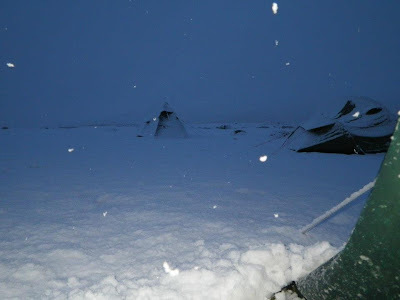 However, our plans where soon changed when we all woken up to this (below) at 06:15 – in my case – the night before this was all green by morning it was covered with 3 inches of snow, just shows the unpredictability of Dartmoor’s weather. There went our nicely laid plans. Time to get the Young People off of the moor, pretty fast. This was due to us having another team out in the middle of the Moor near Three Barrows, who where instructed to walk off the moor where another member of staff met us en route. About hour later we picked them up looking very happy from Wrangton Golf Club.